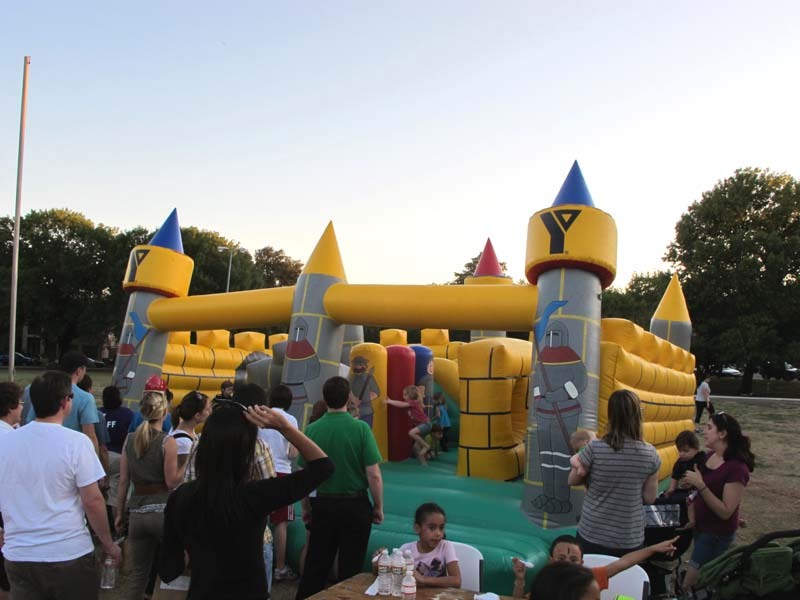 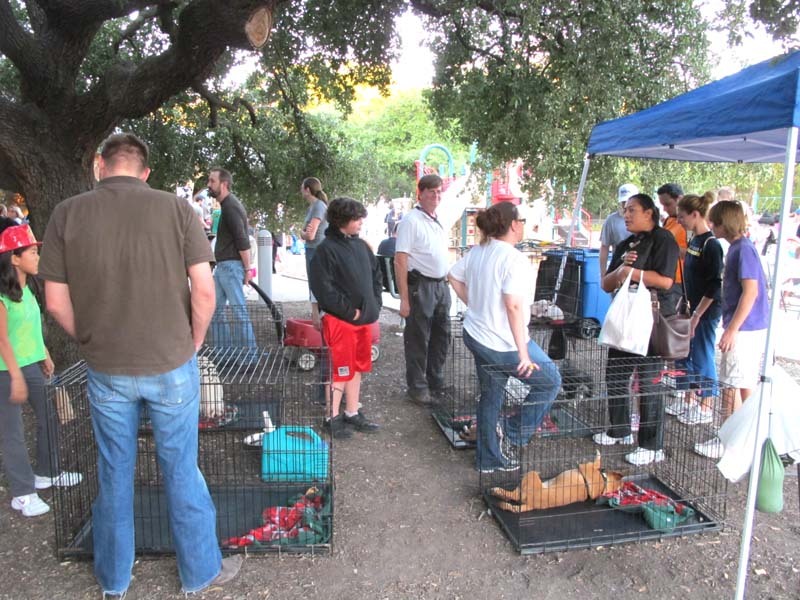 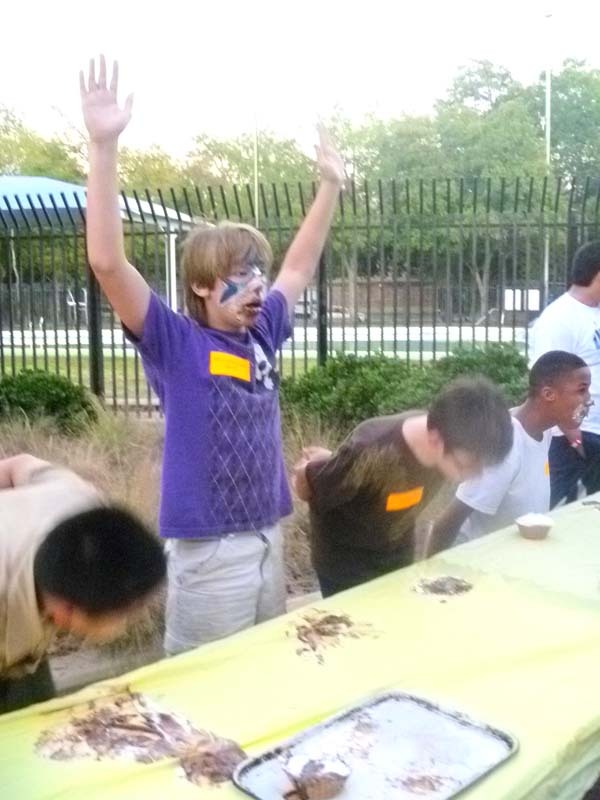 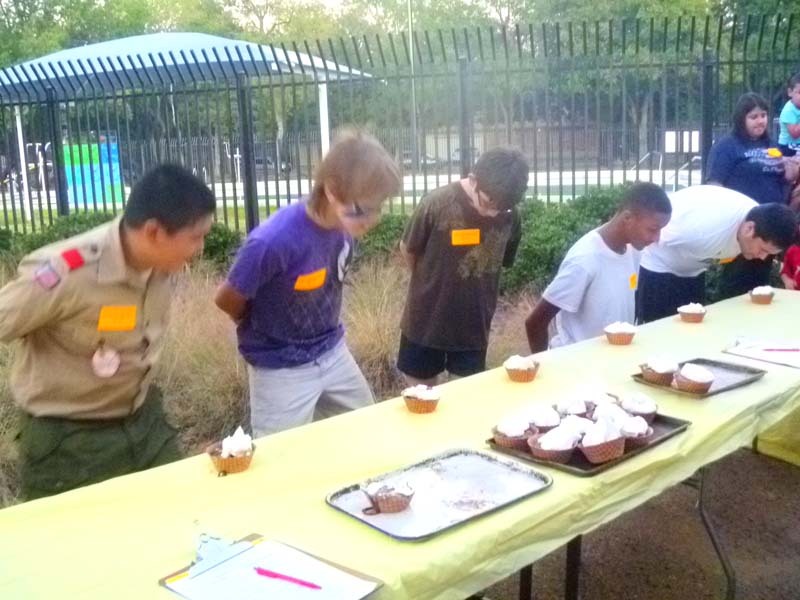 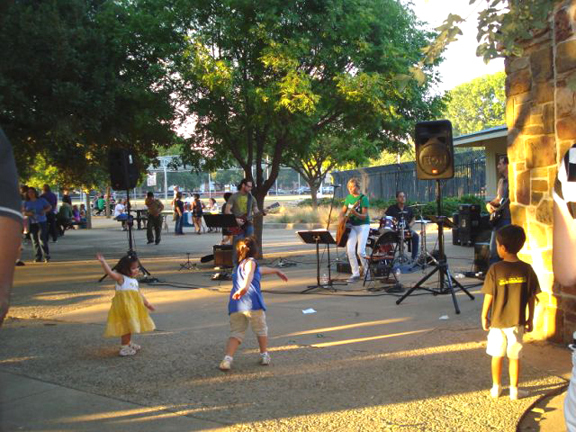 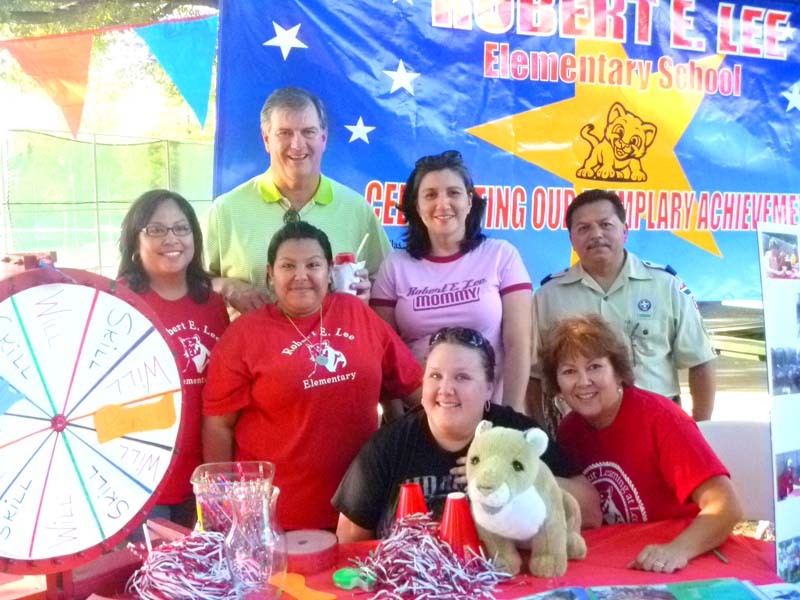 National Night Out 2011 – A Night to Remember! 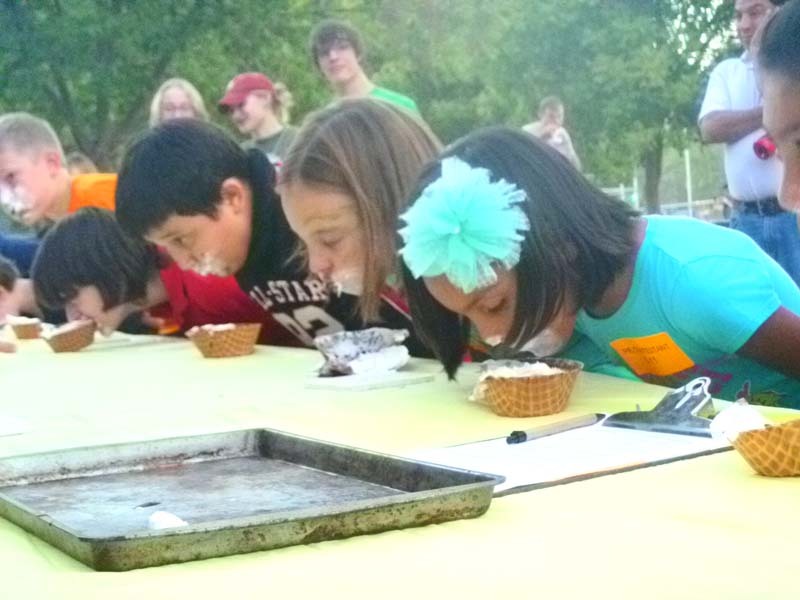 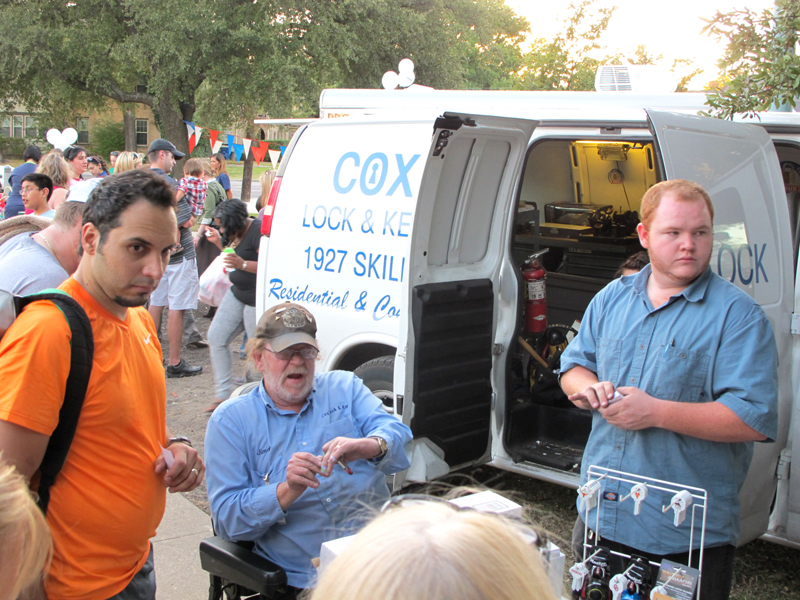 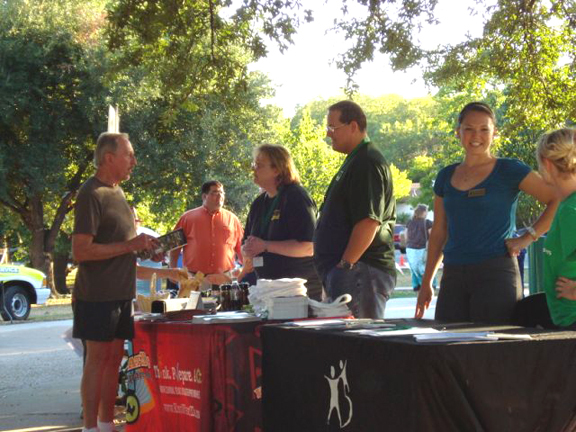 Tuesday, October 4, saw the eighth annual National Night Out in Tietze Park. 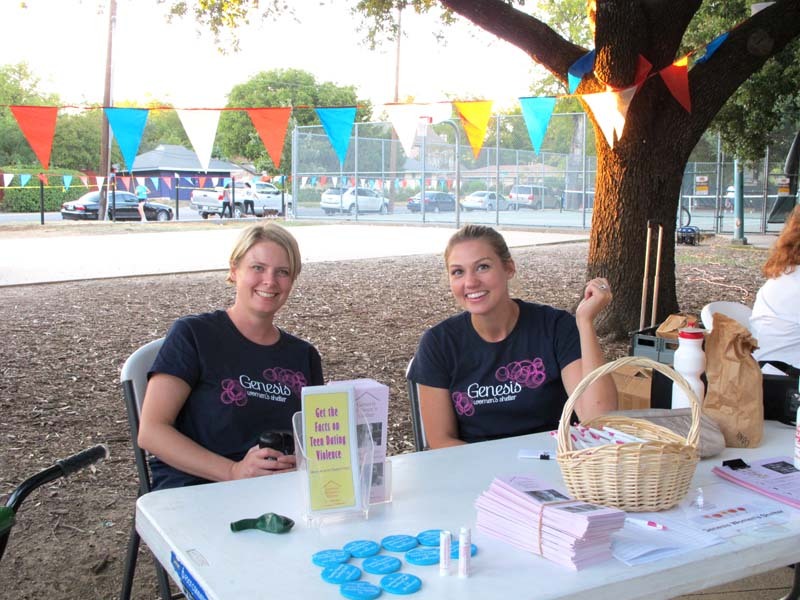 This year, volunteers from three neighborhood associations – Lower Greenville, Lakewood Heights, and Lowest Greenville West – again worked to host the event. 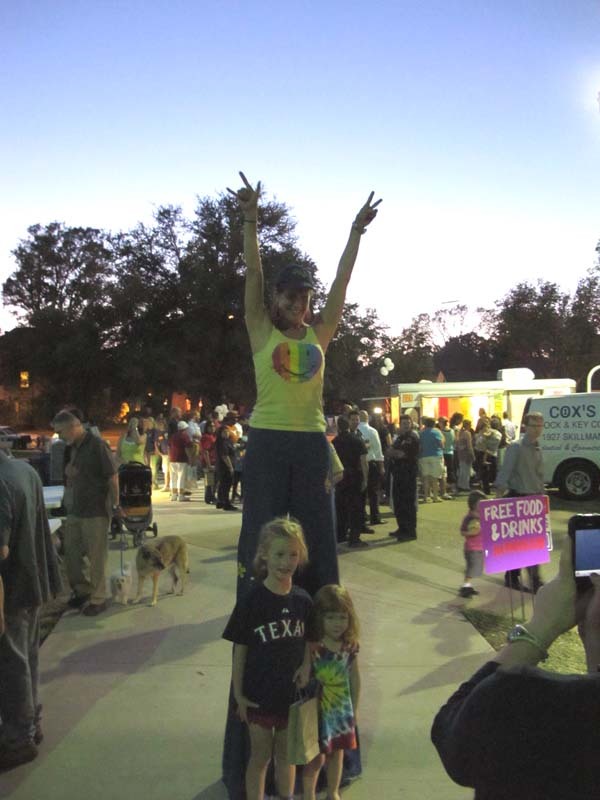 Approximately a thousand area residents attended. 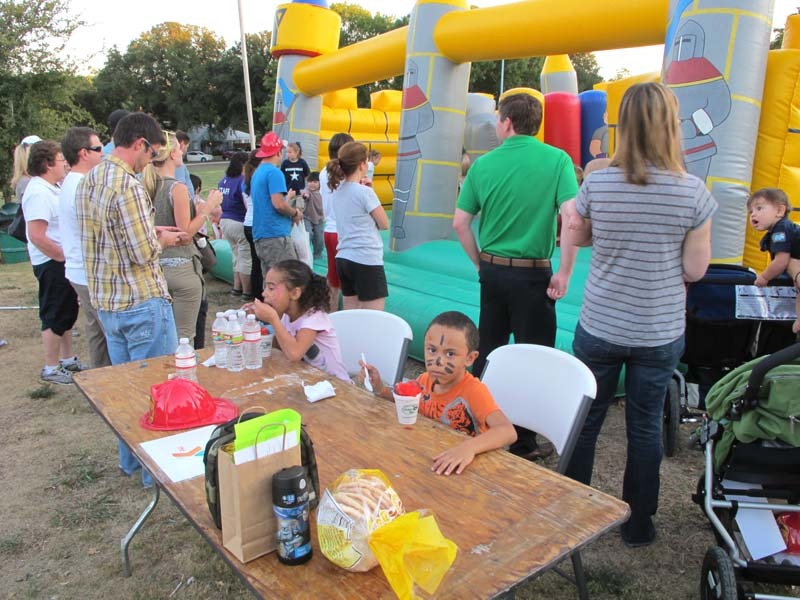 National Night Out is designed to strengthen community relationships between residents and public service organizations such as police, city departments and charitable organizations that serve the community. 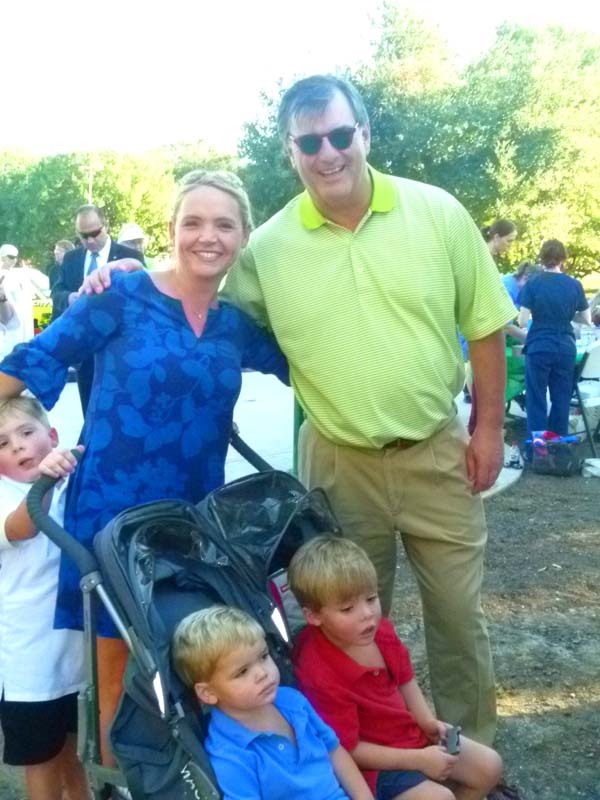 Visitors included Dallas Mayor Mike Rawlings. 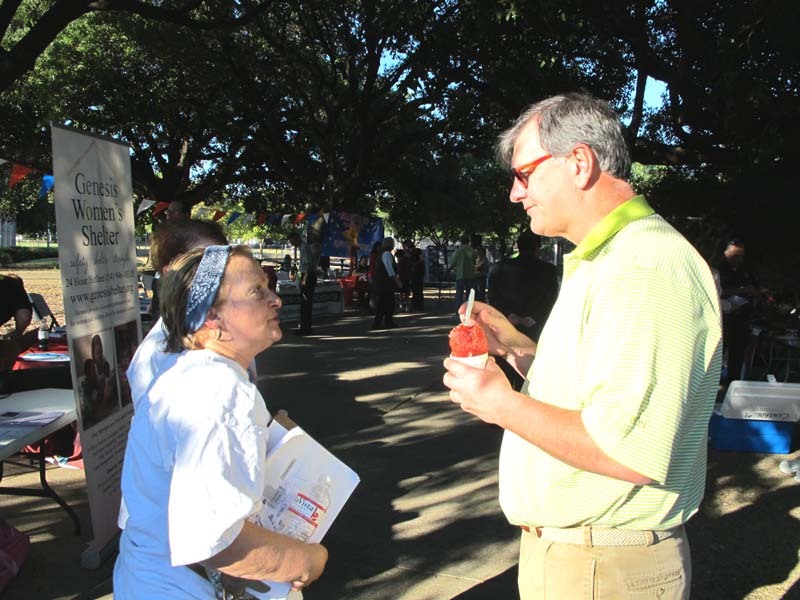 A former resident of our East Dallas area, Mayor Rawlings enjoyed himself by partaking of a snow cone and chatting with area residents. 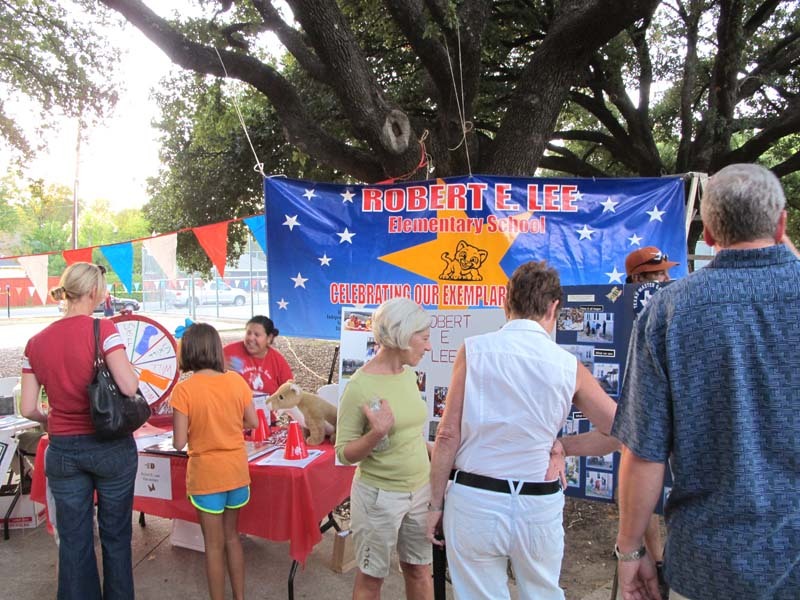 His visit to the Robert E. Lee school table was doubly pleasurable for Lee volunteers when he informed them that his wife had attended Robert E. Lee. 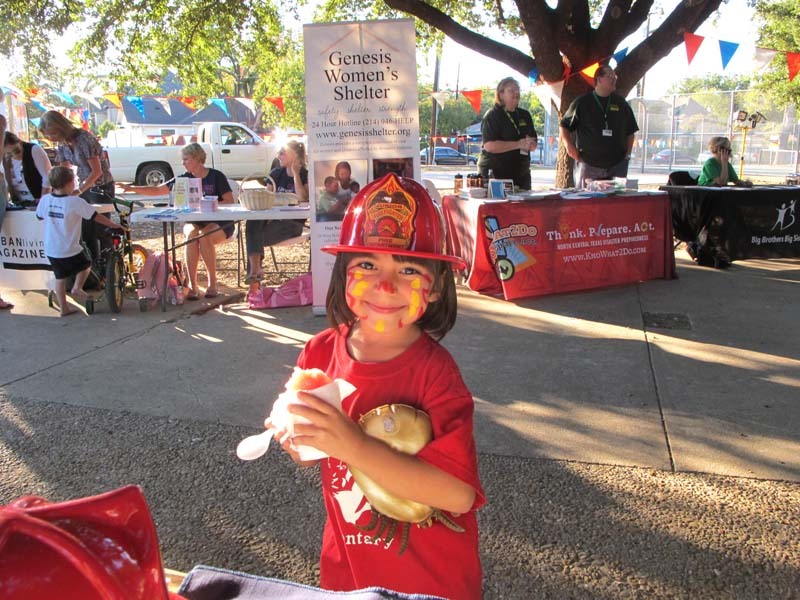 Fire Station 17 brought their truck so that the kids could take a look inside a real fire truck. 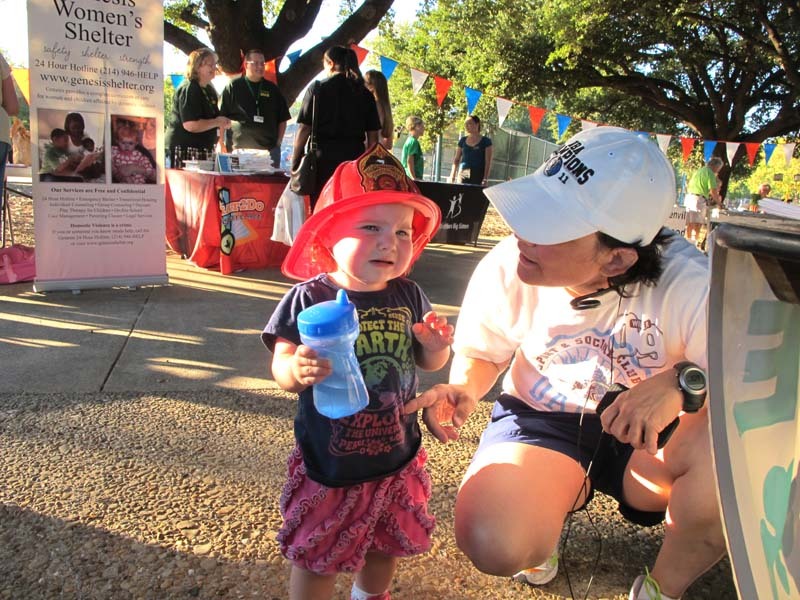 The Dallas Police Department sent several representatives including Deputy Chief Mike Genovesi. 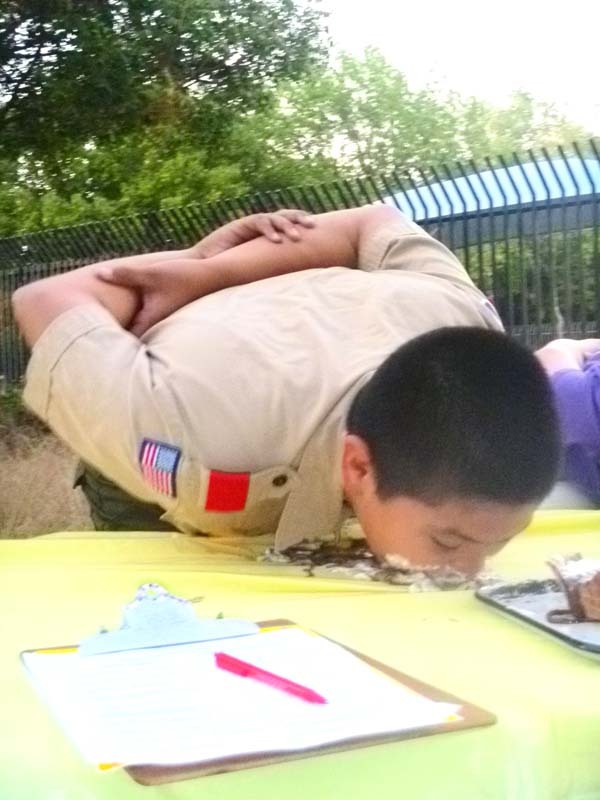 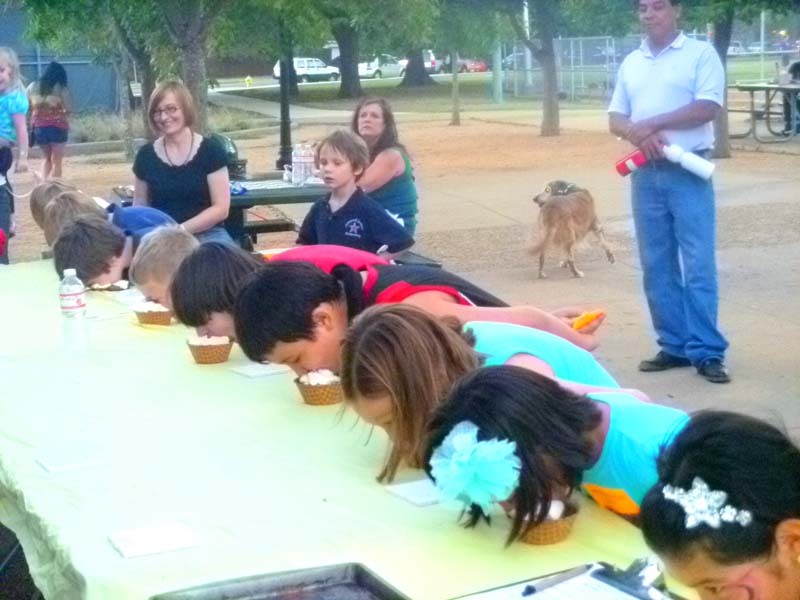 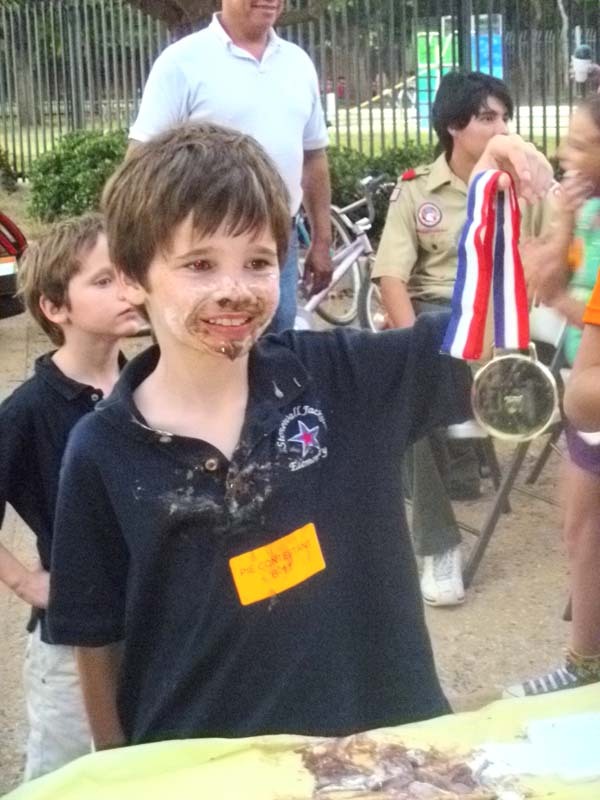 Chief Genovesi served as an excellent and impartial judge of the second annual pie-eating contest. 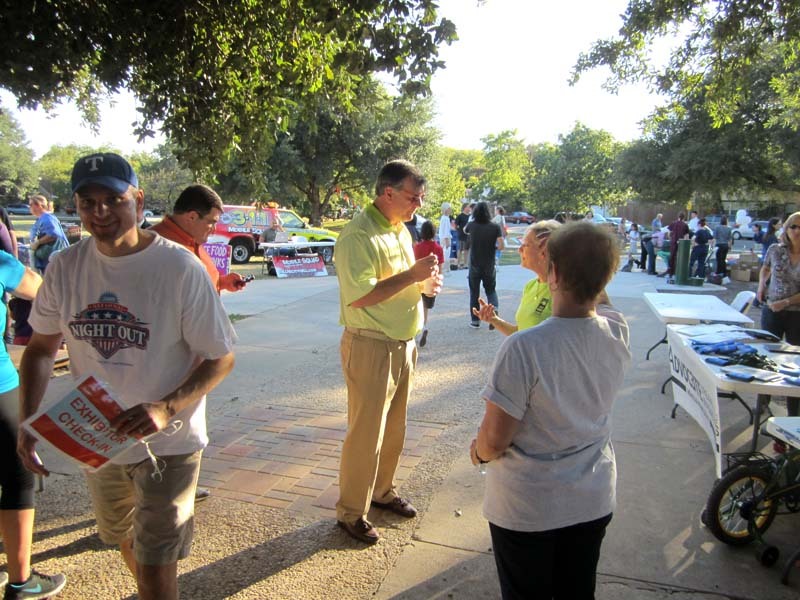 Other participants were two dozen exhibitors including area churches, Dallas city services, security and health providers, and neighborhood associations and crime watches. 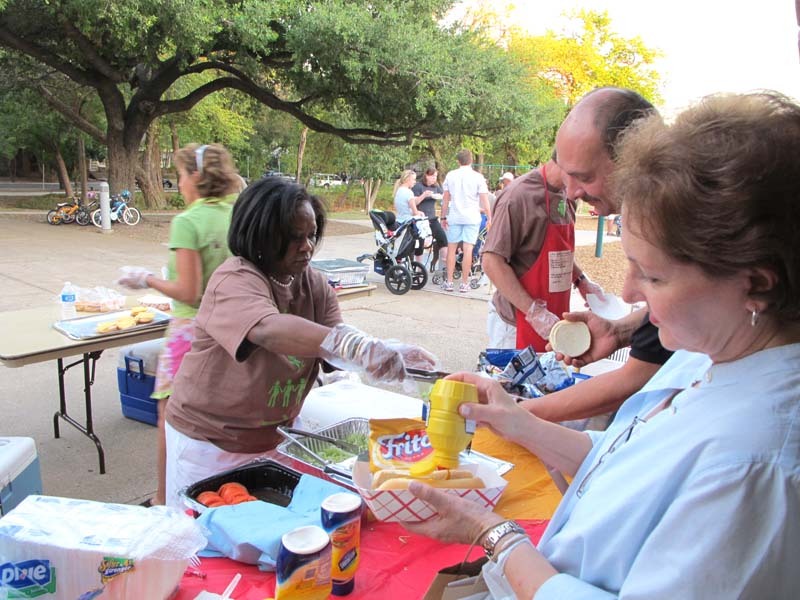 Visitors took advantage of complimentary hamburgers and hot dogs cooked up by folks from Skillman Church of Christ and drinks provided by BellaVista Company, 7-Eleven at Greenville and Penrose, and the neighborhood associations. 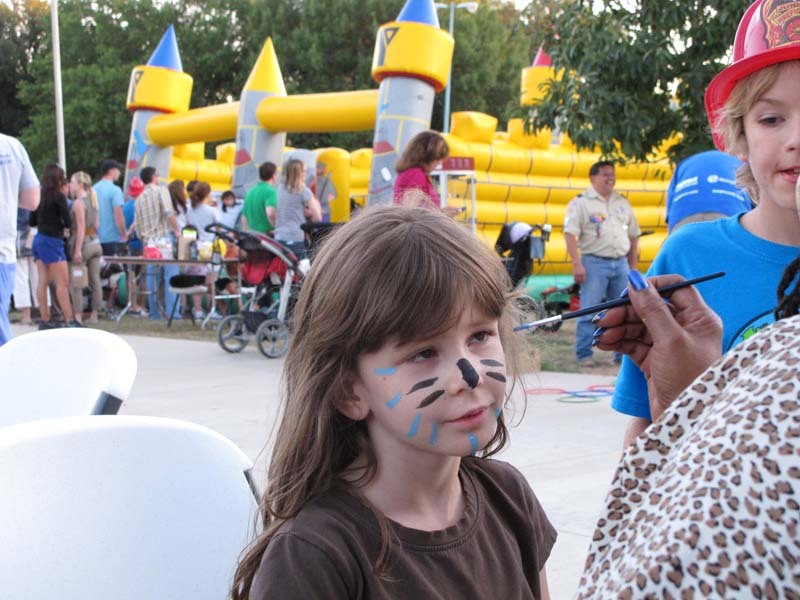 Low-cost pet chipping was provided by Vickery Place Animal Hospital, the YMCA at White Rock brought a bounce house, and neighbors enjoyed face painting for the kids and music for everyone by recording artist and Munger Place UMC Music Director Kate Miner. 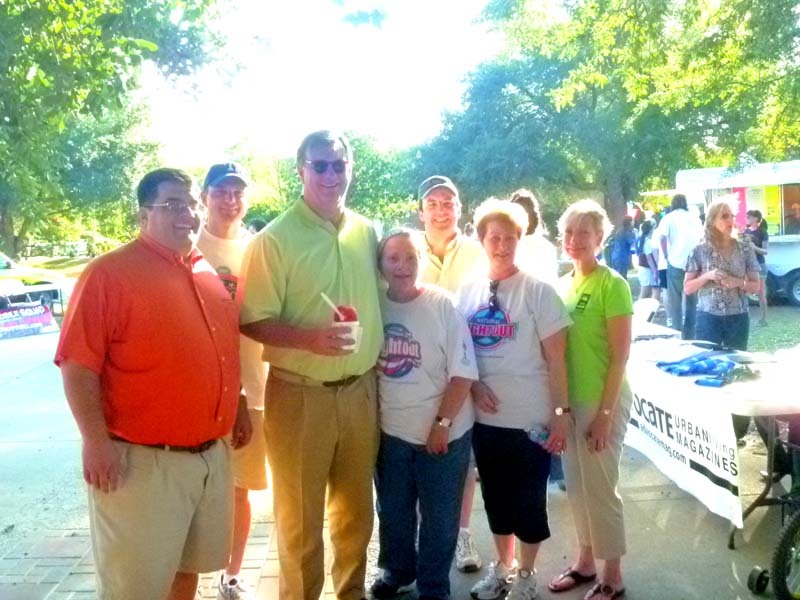 Thanks to the many volunteers who made a successful event, and thanks to our neighbors for making the event a success!